In recent years, it has become increasingly popular for people to us a reward scheme to help address a particularly challenging behaviour that a child may be displaying. These are being used widely both at home, in schools and in childcare settings. If you have gone to the effort of making a reward scheme, you are going to want it to work. The trouble is, they are not always used effectively. There are a few keys points that you need to follow in order to make a reward scheme have the desired effect. This is something I could talk passionately about for many hours, so I promise to try not to go on too much, but I do want to share some useful points that will help you create a successful reward scheme for an individual child. Keep it positive Many people give children a reward chart where they start at the top then, if the child does something wrong, they move them down. Look at this from the child’s point of view – from entering the door in the morning the only way things can move is downhill. There is nothing to work towards – no incentive to behave really well. No ‘moving up a reward chart’ to make them feel proud of themselves and earn their reward. At best they can just stay as they are and have a reward at the end of the day, or otherwise things go downhill. So, why not start with a blank chart and let the child earn a star / car / sticker / whatever it is when they behave really well. Children love collecting things – this gives them a reason to do what you are asking. Make the reward BRILLIANT! 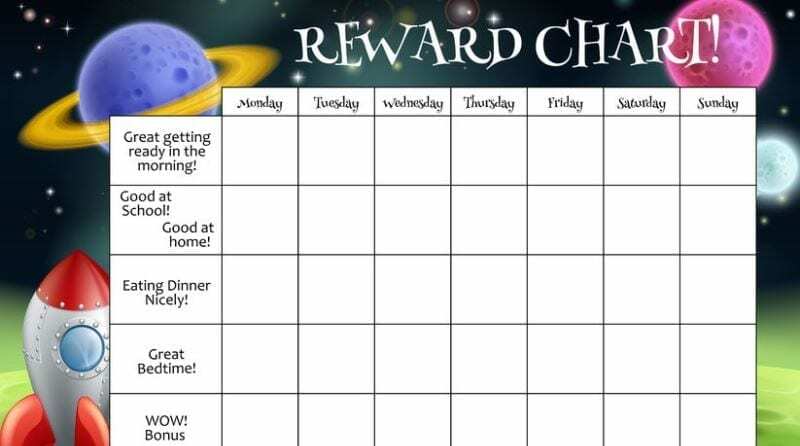 You are going to need to make this reward chart really tailored to the child in mind. If the final reward is something that doesn’t really, really make the child tick, then they aren’t going to be interested in it. For different children, rewards can be really different things – for some children it may be playing with a certain toy; for some it is food (you would obviously need parental permission in this instance); some parents that offer reward schemes at home find money works, but for some it is just time – precious 1:1 time with an adult of their choice. Make it realistic and achievable To begin with the reward scheme may need to run every hour, or every session, so that they child is earning their reward quickly and therefore seeing the positive impact of their changed behaviour. You can then extend it as the child gets older and can cope more. Don’t put the reward at the end of the week. For really young children don’t even put it at the end of the day! Children need instant feedback. Give it time to work Your reward scheme may not work immediately, although you should hope that it would make a difference within the first few days. Give the child time to adjust to the new reward scheme and learn exactly what it is they are expected to do. Move on from setbacks This child isn’t always going to earn their reward. If they do, then great! Perhaps it’s time to address a new behaviour that you want to change. If they don’t achieve it, don’t hold a grudge; in fact try not to react at all. You need a calm attitude of ‘you didn’t achieve it this time, let’s try harder next time’. Then let it go. It’s amazing what low self-esteem some children have. If you carry on being cross with the child then they are not going to have the positive attitude they need to start afresh and work towards achieving their reward next time. Believe in them. Let’s say you have a little boy that keeps pushing other children over, and this is happening regularly. This boy loves cars and particularly loves playing with the box of cars in your setting. My advice would be to have a reward chart that looks like a road (nothing fancy – just draw a road on a piece of card). Explain to the child that he gets to put a ‘car’ on the road if he uses gentle hands. (Have laminated cars, or even real cars if they are small enough. Velcro works brilliantly here – you can just add and remove the cars when necessary). To begin with, really work alongside this boy, reminding him to be gentle, and let him earn 3 cars on his reward chart spread evenly between arriving in the morning and snack time. Then give him lots of praise for earning all 3 cars and let him have 10 minutes play with the car box. Here, a sand timer is really useful for children to see how long they get their reward for. At the end of the 10 minutes, put the box away and remind him he can earn it again by lunchtime if he wants to, by using gentle hands. Hopefully, by the end of the day he has had the car box 3 times – once at snacktime, once just before lunch and once at the end of the day. If the child does push other children, then he will not achieve all of his cars, and therefore not get his reward. You will need to follow through on the incident the way you normally would – perhaps time out, then apologising to the hurt child, but then move on. When it comes to the time to get the car box out you need to calmly explain that this morning, because he pushed someone he has earned 2 cars, not 3. He’ll have another chance to try to earn the car box again this afternoon. The child is not likely to be calm at this point – therefore you need to be. As time goes on you will hopefully be able to back away from this child a little, and not have to remind him to use gentle hands as much. You can also extend the time, so that he earns one reward at lunchtime, and another at the end of the day. Once you feel that this behaviour has really settled (you need to have run the reward chart for at least a few weeks first), you could set a new target and use the reward chart for something else. Reward charts such as these may seem a lot of hassle for one child, but the time and effort put in at the beginning really do make them worth it. The most important thing to remember is to be positive. Offer lots and lots of praise for the parts of the day that the child gets right. The child needs to learn that when they get it right, their day is brilliant. Don’t waste time or energy going over a negative event if they don’t achieve. Deal with it, then move on – the fact that they are not earning their reward is punishment enough. Just explain calmly why they cannot have their reward, but that you know they can achieve it next time. Children that have behaviour problems often thrive on praise – this gives you the opportunity to have something to praise them for. Good luck! 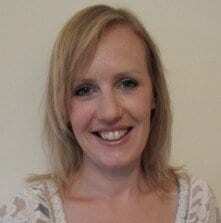 Georgina has had 8 years experience teaching both mainstream and special education. She has created her own website www.sensupport.com which makes learning resources to help children with Special Educational Needs. If you are looking for help or advice to create a reward chart of your own, you can contact @sen_support on Twitter and on Facebook or email Georgina on admin@sensupport.co.uk.